Rob and I just celebrated our first Valentine’s Day together. I had class on Thursday night, so Rob said he would make me dinner. We decided on hamburgers. 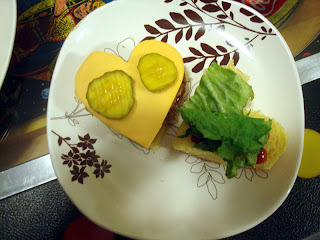 When asked what else I wanted I facetiously said heart shaped pickles. 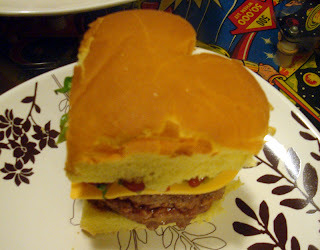 Well Rob couldn’t get me heart shaped pickles, but he came through and here is my dinner. I love him so much! 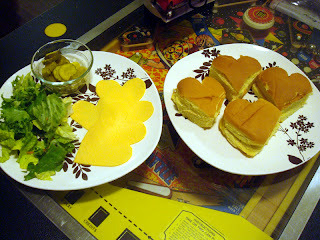 Aren’t these the cutest burgers?